Designed to mount easily to virtually any SDI or HDMI equipped video camera, Ki Pro Mini connects directly to your camera’s digital output and captures full quality footage to Compact Flash (CF) media in Apple ProRes 422 or Avid DNxHD formats. When it’s time to edit, just remove the CF media, transfer to your computer via card reader, and the footage is ready to use straight away in your editing software, without the need for additional import or transcoding steps. Big on quality – but not on file size. Recording 10-bit, full raster files, Ki Pro Mini gives you high quality images that easily stand up to post processing requirements – and client scrutiny. 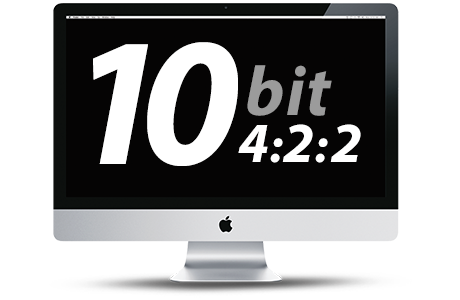 Compared to 8-bit recording devices, 10-bit 4:2:2 recording (when supported by the codec) provides better quantization, giving a superior representation of the original scene and allowing for more flexibility in post production when adjusting color and balance. By utilizing efficient ProRes codecs, file sizes are kept in check so you won’t need to blow your production budget on extra storage. While many cameras record directly to digital files, most native camera formats aren’t designed for efficient non-linear editorial work. Ki Pro Mini solves this problem by recording direct to the formats you edit in, using a variety of Apple ProRes 422 or Avid DNxHD codecs. Different cameras each record to their own native formats, which can lead to inefficiencies in the editing process. Recording each camera to a Ki Pro Mini unifies production to a single file format, streamlining the edit process. With simple controls and an intuitive operation, Ki Pro Mini is easy to incorporate into your existing setup without worrying about a learning curve. Just like a traditional tape deck, Ki Pro Mini features straightforward and dedicated transport buttons – record, play, stop, rewind, fast forward – making the device easy to operate with minimal training time. The current status of the system and key configuration information is clearly displayed on the built-in screen. Additional operational information can be found in the STATUS menu which can be accessed even when recording or playing back. The Ki Pro Mini operating system offers users a flat menu structure that is easy to navigate with menu parameters presented in clear and understandable language. Compact but rugged, Ki Pro Mini is designed to withstand the rigors of real world use, shoot after shoot, day after day. We use the highest quality components to ensure it’s ready to go to work every time you are. It may be small, but Ki Pro Mini is made of lightweight, strong aluminum, with a robust construction that allows it to support the growing amount of extra gear that is attached to today’s cameras. Ki Pro Mini vastly extends on-set capabilities for smaller productions and fast-moving shoots. Recorded shots can be played immediately without the need for separate video assist equipment. If you’re using a mobile editing system, footage from Ki Pro Mini can be edited while you’re still on the set, letting you make sure you have the right shots and allowing the talent to see their performances in context to give them better insight into the scene. Because no two setups are ever the same, you need the flexibility to adapt to the circumstances of any shoot. The Mini Mounting Plate attaches to the sides of the Ki Pro Mini and provides almost endless mounting possibilities when used in combination with battery plates, hot shoe mounts, articulated arms and more. Giving you more options for mounting, camera balance and weight distribution can be carefully controlled instead of just adding another device to the body. 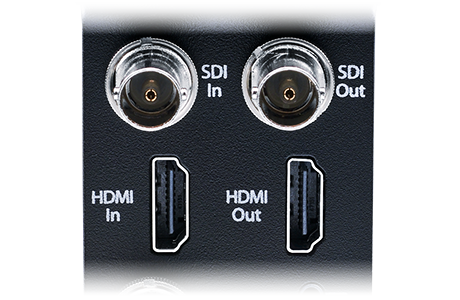 Ki Pro Mini is designed for optimum performance whether your system uses SDI, HDMI or a combination of both. And because the SDI and HDMI outputs are both always active, the Ki Pro Mini is not just a recorder/player but a converter as well. 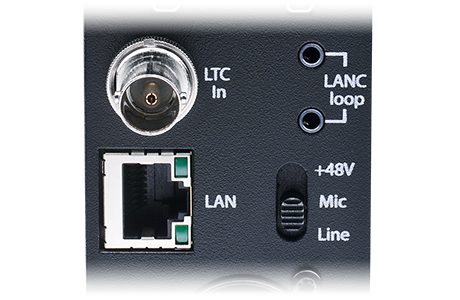 In addition to support for embedded SDI or HDMI audio, the two XLR analog audio inputs allow audio from mixers and microphones, including support for phantom power, to be recorded directly into the files created by Ki Pro Mini. The area around a camera can be a crowded place on set. 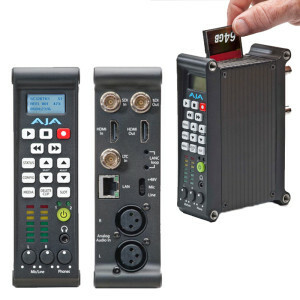 Ki Pro Mini is a favorite of DITs because it is uniquely equipped for advanced remote control and configuration. With a standard Ethernet LAN connection to a host computer and any web browser, all Ki Pro Mini parameter settings, clip selection and transport controls can be controlled; no additional or special software installation is required on the host computer. Multiple Ki Pro Mini units can even be controlled from a single web interface making Ki Pro Mini an ideal solution for multi-camera recordings. Complete developer tools are also available allowing advanced users to script and automate Ki Pro Mini for custom applications. Using the Camera Data menu parameter, record start/stop operation can be trigged automatically with select cameras – including unique HDMI support for Sony, Canon (HDMI timecode) and Nikon (DSLR support). Even file names can be reproduced on the Ki Pro Mini to match the camera native recordings. Automated start/stop can also be accomplished via LANC when connected to properly equipped cameras. Compact Flash (CF) Cards – 2 slots (See www.aja.com for supported media).